I take pride in the fact that at least once a week I get to answer some person's "You really smell good? What is that perfume?" with "It isn’t one, it’s a few J." One thing I've become quite good at over the years is layering scents to add just a little extra level of spiciness, freshness, summeriness, sexiness, whatever-I'm-after….Here's how you do it. Start with something basic. single-note or very basic fragrances are easiest to start out with. So I recommend you begin with those. If you insist on jumping into combining multinote scents, or something too complex, you will end up smelling like the fragrance section of a department store. Then the strong notes like musks, patchoulis and woods. You definitely need one of these 'cause they're the only things that stay on skin past the first couple of hours. .
Then you get to put on a flavoring of sorts, these are your middle notes to give your scent a little more character. Think berries and greens. And finally you add the lightest scents, the white flowers, the citrus-y scents, and the other sweet notes that burn off fastest. If you try to hit all three layers in your mix, you'll have a fairly well-rounded fragrance. Remember to apply in the right order; where each layer is lighter than the last. Think about it: If you reversed them, all you'd smell is the strongest note because that would be on top. Now you know the basic steps, it's time to experiment. Or maybe you've already been playing around. My favorite concoction is: Hypnotic Poison, DKNY Be Delicious, Happy Clinique – smells FABULOUS on me! Should you change your fragrance? 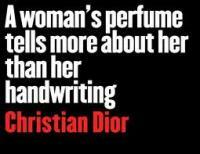 Benefits of wearing an excellent perfume!